WELLESLEY — Every day, thoughts of their only daughter haunt Bill and Pam Slack. Kelly is never far from the Wellesley couple’s minds in the three years since she took her own life, just a day after being released from psychiatric care and barely surviving a serious suicide attempt. They continue pushing for answers about their daughter’s care at Grand River Hospital in summer 2009. They want those responsible for protecting their daughter to be accountable. “When I think of the way it all ended, you don’t know how disgusted I am,” Pam said. The couple accepts they may never get any satisfactory answers, any relief from their sadness about their daughter’s death at 21. But they’re hoping other families can avoid the same heartbreak. “We’re doing this because I don’t want this to happen to anyone else,” Pam said. They’ve pursued various avenues in their quest for answers, gathering piles of documents. Every effort so far has been frustrated. 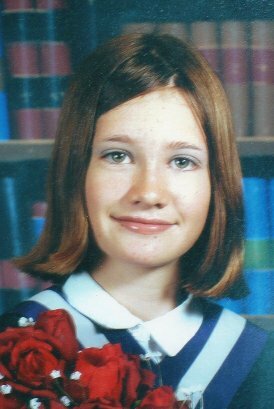 The coroner’s office decided an inquest wouldn’t be held into Kelly’s death. Her parents met with officials at Grand River shortly after, but left feeling little was addressed. “We didn’t think we got direct answers from the hospital,” Bill said. That’s why they filed a complaint with the College of Physicians and Surgeons of Ontario about the care provided by the Grand River psychiatrist who discharged Kelly the day before her death. After about a year and a half of correspondence with the college as it investigated, the Slacks recently received the committee’s decision not to pursue any further action on the complaint against the doctor. The couple wasn’t surprised by the ruling, but they were disappointed. They can’t let go of one question: why was Kelly released when there was reasonable cause to believe she would harm herself? She had, in fact, hurt herself already and threatened to do so again not long before her hospital release. “We knew it would happen,” Bill said. Kelly was headstrong, impulsive, suffered from serious mental health issues and had a history of substance abuse. As a child, Kelly’s behaviour was difficult to manage and she needed to go to a special children’s mental health treatment centre when she became too disruptive for a regular classroom. Just before turning 14, she insisted on moving out of her parents’ home and into a group home. Her parents did their best to stay in her life, but Kelly reached out only occasionally as she continued into adulthood living in supportive housing and later refused their visits in hospital. In early June 2009, Kelly was taken to Grand River after jumping off a bridge. Her injuries were severe — broken bones in her neck, arm and wrist requiring surgery — and she was sent by air ambulance to a Hamilton hospital where she stayed for a few weeks before being transferred back to Grand River for psychiatric care. There she was treated until mid-August, when she was released to a respite care home. She was brought back to hospital the following day after voicing suicidal thoughts. She stayed there for just over a week before being discharged on Aug. 28. The next day, Kelly died when she was hit by a train. Her parents have walked the path to that spot a few times, imagining their daughter’s last moments. The guilt doesn’t fade. Grand River Hospital would not discuss Kelly’s case, but did recognize the devastating impact on the family. “I certainly understand the family’s perspective. There’s nothing I can imagine worse in life than losing a loved one to suicide,” said Judy Shearer, associate vice-president of the mental health and addictions program at Grand River. The mental health unit is continually striving to learn and improve to provide the best patient care possible in the complex field of psychiatry, she said. There’s no cookie-cutter approach to care in the hospital and a person’s recovery also depends on the support of community services. Always under the Ontario Mental Health Act, patient rights must be balanced with keeping them safe. Within the last year, the hospital introduced a standardized risk assessment tool for all newly admitted patients to gauge the likelihood of patients causing harm to themselves or others. A review is done any time there is a serious event in the unit, as well as monthly reviews of an unexpected situation where harm occurred. Staff tries to learn from it and possibly make recommendations such as implementing a new policy, increasing awareness about a particular issue or staff education. “There are always things we learn from these types of events,” Shearer said. They’re planning an in-depth review of all their units, both acute care at Grand River and longer-term care at Freeport, child and adult, to look for trends and opportunities for improvement. The Quality and Patient Safety Council meets monthly to review trends and the latest evidence in care. “There’s new evidence every day. There’s new ways of thinking about how to do things better,” Shearer said. Hospital care is just part of the picture, she added. Grand River started a community advisory panel last year. It meets a few times a year with community organizations and agencies — such as the Waterloo Region Suicide Prevention Council — to share what the hospital is doing and ask for ideas about what could be done better. Bill and Pam Slack hope, if nothing else, that Kelly’s case will be a reminder for health care providers to be more cautious. “If they can save one life, that’s important,” Pam said. Now what remains is an unrelenting sense of loss. Pam becomes overwhelmed with tears when talking about her daughter.